A revised hull form tuned to give a design that will compete across the wind speed range with the best existing designs in this class i.e. RENAISSANCE & ROCOCO providing it is built to the same standard. 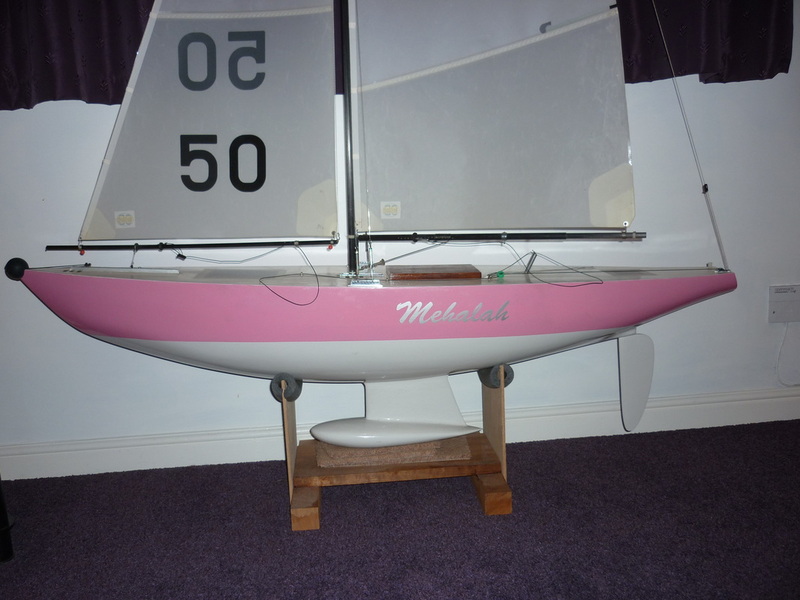 A six metre design essentially for fun sailors. Double chine construction in ply panels. Simple to build and cheap too! Class yacht of round bilge section intended for planking in timber for racing. The plan shows full size frames fin and lead bulb with half size profiles. No construction details are on the drawings. A good light airs boat. 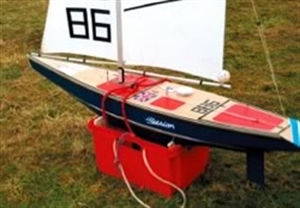 Plan available from Model Boats Plans Service. This was a custom design for Alan Bright that arose from a conversation with John about how far the LWL could be pushed in the class and still have a competitive boat. This was a custom design for Peter Salt which increases waterline length as the hull heels.